The role of propaganda and censorship is not as obvious as it may seem. From the infamous propaganda arm of North Korean government to the state-run media organizations in China and Russia, it is clear that the mechanisms and effectiveness of propaganda and censorship vary widely. During the height of propaganda in the twentieth century, authoritarian governments were able to craft strong, singular national narratives by propagating political messages in popular media while censoring those that conflicted with the government’s line of thought. With the advent of the digital age, Russia and China have been forced to develop their propaganda strategy to combat the newfound power of the average internet user, who can seek and share information at the instant click of a mouse. While the basics of propagandistic strategy have persisted, fundamental changes have occurred as a response to the paradigm shift in information sharing and seeking. While many concepts birthed in the height of the dictatorial state have endured to this day, the way in which they are executed have changed dramatically as a response to modern realities. In Mao’s China, control of media was so intense that arguably every flow of information in and out of the state’s mainstream news was propagandistic. It was, back then, simply a matter of ‘thought work,’ the ideological reform of the propagandist’s audience. In particular, the network of control the government had in overseeing popular culture was so complete that the public came only to know state-sponsored forms of entertainment. In particular, the Chinese government had complete control of the production and distribution of movies. While very few movies were produced during the Cultural Revolution, their consequences were immense, for films served as the main source of formal entertainment in both rural and urban areas. Harvard University Associate Professor Jie Li, a scholar of media cultures in modern China, explains that in Mao’s China, “there was a conflation between entertainment and political propaganda because … the only entertainment they had were these movies which of course had very strong political messages. 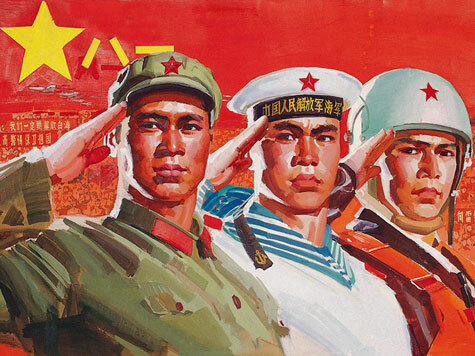 In a lot of ways, propaganda equaled entertainment.” The Chinese people were eager to view the productions, which depicted, for example, a hero that fights against the cruelty of the bourgeois landlord (Sparkling Red Star, 1974) or the drama and eventual victory of the Communist Party (The East is Red, 1965). One propaganda film, Taking Tiger Mountain by Strategy (1970), was claimed by Chinese officials to have a viewership of over 7.3 billion people by the close of 1974, thereby making it one of the most watched movies of all time. The efforts of the government to screen these movies, and the pressure they placed on citizens to watch them, resulted in a wide viewership. They were therefore exposed to a degree of idealism and technological splendor unbeknownst in everyday life. While there undoubtedly existed governmental pressures to comply with mainstream media, xuanchuan, the Chinese word for propaganda, did not necessarily carry the negative connotation that it bears now. Instead, it was understood as an everyday mechanism to induce love and loyalty for the party and the country. Therefore, the concept of propaganda and desire for entertainment coincided to make state-sponsored media in Mao’s China a stellar success. Heavy censorship facilitates and complements the spread of propaganda in society. The Soviet Union was well aware of this; it had one of the most effective, comprehensive, and institutionalized systems of propaganda and censorship in history. The Soviet Union employed those who could inspire and affect culture, calling them ‘engineers of the human soul,’ while those who were unwilling to comply were quickly silenced by the official censorship organ in the Soviet Union, Glavlit. Propaganda became so critical that Stalin said himself, “The production of souls is more important than the production of tanks…. And therefore I raise my glass to you, writers, the engineers of the human soul.” The cultural shift redefined art’s highest purpose to be propaganda, thereby constraining artists to a very specific set of themes. Socialist realism, which often depicted health, industrial productivity, and hard work, such as in the case of Vera Mukhina’s Worker and Kolkhoz Woman, became synonymous with the art of the Soviet Union. In both the cases of China and Russia, the production and censorship of information were interlinked, critical strategies for the success in attracting following for state-sponsored ideologies. The comprehensive control governments had over the flow of media meant that marketing a regime did not need to be subtle, much less socio-politically sensitive. Those who create state-sponsored propaganda in the twenty-first century face obstacles past propagandists could never have imaged. The advent of the internet has given rise to the rapid and easy dissemination of information. Within the pre-digital dictatorial state, entertainment, pop culture, and news could be controlled to the point where little was allowed beyond direct or indirect influence of the propagandist. Despite attempts from the government to control the flow of information through methods such as firewalls and deletion of posts, there is little stopping the everyday Chinese or Russian citizen from learning about the very things their governments try to shut out. Professor Li comments that in China, “Anybody with some internet savvy can probably go over the ‘Great Firewall’ to access whatever they want.” In the age of instant-information, marketing a regime or ideology in the demands a whole different set of policies and summons a new set of audience responses. When informational borders no longer coincide with state borders, it becomes increasingly difficult for propagandists to make falsehoods believable and truths evadable. While citizens of illiberal governments are now able to be more aware of what is out there and what they can want, the growing wave of self-censorship becomes increasingly more apparent. Simultaneously, nations attempt to champion their narrative against the competition of other ones in the increasingly globalized world. The modern age challenges states to completely reform the way in which they approach disseminating and controlling information. The threat received by the advent of communications technology has informed the way in which the Chinese government confronts information that conflicts with its objectives. For example, popular social media platforms like Facebook, Twitter, and YouTube have been effectively replaced with Renren, Weibo, and YouKu, which comply with state-mandated censorship standards. In these platforms, there are friend requests, places to comment and criticize, and sharing of articles, photos, and videos. However, rather than blanket censorship over all voices of contention, China employs a different, more subtle tactic: an attack on collective action. A 2013 publication by researchers at Harvard University suggests that “Contrary to previous understandings, posts with negative, even vitriolic, criticism of the state, its leaders, and its policies are not more likely to be censored. Instead, we show that the censorship program is aimed at curtailing collective action.” Their analysis led them to conclude that while self-expression is widely permitted by the Chinese government, the collectiveness of the people is suppressed. The response to pro-democracy protests of Hong Kong citizens last September exemplifies the Chinese government’s focus on preventing collective protest within its mainland. In particular, Instagram was shut down for four days while the trending Hong Kong ‘hashtag’ prompted thousands of posts on the protests. Moreover, the censorship index of Weiboscope, a Hong Kong University student-led effort to monitor mainland Chinese censorship, saw a huge spike during the time of the protests. While state-mandated censorship is a direct and obvious way of combatting anti-government viewpoints, its implications have meant a rise of self-censorship and, ironically, awareness in modern China. As Professor Li puts it, “There’s a certain aura around Chinese censorship of everything. A lot of the time it’s actually people pretending they don’t know… it’s about compliance with what should not be said in public.” The heavy censorship practiced by the Chinese government is widely felt by the citizens on social media, who easily notice politically sensitive material being deleted within an hour of being posted, or entire platforms being shut down for days at a time. Many digital participants use the intensity of censorship as a barometer for the political environment. There is, therefore, an implicit sense of urgency or worry that accompanies each deleted post and each unavailable page which inevitably sparks the curiosity of the apolitical. There is extremely limited citizen understanding surrounding the mechanisms and dealings of China’s censorship. Therefore, there is a lurking fear and implicit intimidation felt by the Chinese people when they are considering whether to tie their names to politically contentious statements. Like that of the Soviet Union, propaganda in Russia today relies on constraining the flow of dissenting voices while simultaneously disseminating distinctly skewed information. Russia’s propaganda network has spread misinformation to the public through comprehensive control of broadcast media, which is a huge source of information for Russian citizens. A recent study by Levada Analytical Center concluded that 94% of Russians consider the television to be their main source of news; and that only 8% believe that television gives a false picture of events in the world by manipulating people’s minds. Many gladly watch Kremlin reports, even if some are hesitant to fully trust them. Emotional and compelling news stories are broadcasted in the television screens of nearly every Russian household, offering households a certain entertainment value. As many in Russia struggle to understand where the truth lies, the Kremlin continues to manufacture, brand, and refine its narrative, while suppressing those of others. The unapologetically pro-Kremlin voice of ‘Russia Today’ has replaced virtually all independent media outlets in Russia as the reporter on the recent developments in Ukraine and Crimea. The Kremlin-backed stations often broadcast information with a distinctly pro-Russian perspective, in stark contrast to international reports. Reports of the Russian government attempting to silence domestic voices of dissent by jailing opposition journalists and shutting down opposition stations have also surfaced, further suggesting the misinformation narrative that is present in modern Russia. This gap between fact and misinformation has become so great that various initiatives have been made to uncover the truths Russian media has manipulated or suppressed. Notably, as an effort led by former journalism students within Ukraine, the website Stopfake.org is routinely updated to expose what they have deemed to be false news crafted by the Kremlin. The website brings to light the strong distortion of information practiced by prominent Kremlin-backed news outlets, often citing falsified stories that target anti-Russian voices as examples of state-propagated misinformation. It is apparent that the Russian way of directing cultural and intellectual life utilizes a tried and true strategy: using censorship to pave the way for state-backed propaganda. An extreme example of propaganda’s role in a state can be seen in North Korea. Despite the reclusive nature of the regime of Kim Jong-Un, it is widely known that his propaganda campaign is comprehensive. The few glimpses into the state by an international audience show a bizarrely disconnected people highly tied to his leadership. A study in December of 2014 showed that there are only 1,024 known IP addresses in the country, compared to the 1.5 billion ones in the United States, suggesting a very low citizen internet usership. The marketing of the state, through billboards, statues, popular entertainment, and news outlets, is largely focused an anti-West ideology that has persisted since the formation of North Korea. While the propaganda technique in Russia and China has been subject to the all-reaching influence of globalization through relatively accessible internet and information, North Korean propagandists have been able to virtually wholly bypass the inconveniences of this reality. Though Western films have reportedly been smuggled into the otherwise isolated country on some occasions, the propaganda and censorship organs of North Korean can largely still function in the tradition of a truly totalitarian state. A challenge to this isolated narrative occurred in August of 2015, when tensions flared in the relatively calm, though heavily militarized border between South and North Korea. When two South Korean soldiers were maimed by land-mines that North Korean authorities deny they had planted, South Korean authorities responded by reopening an offensive that had been deactivated since 2004: loudspeakers. With these loudspeakers, South Korea broadcasted pro-South propaganda that challenged North Korea’s singularity of thought. North Korean officials made clear that the broadcasts were a technique of ‘psychological warfare’ that entered the two states into a “quasi-state of war.” The tension was escalated rapidly from there, causing Beijing’s foreign ministry to even send a message asking the states to exercise constraint. For a brief moment, North Korea’s government was subject to a competition of narratives that virtually the rest of the world has understood to be the norm of communication since the digital age. The modern age challenges states to completely reform the way in which they approach disseminating and controlling information. In China, selective censorship of politically contentious material has limited the freedom of expression, therefore giving rise to uneasiness regarding what can and cannot be said in public. In Russia, institutionalized propaganda and censorship mechanisms have perpetuated a misinformation narrative. In the extreme case of North Korea, the intensity of the threat of communication is clear. In all cases, many international observers are concerned about the tension between modern propaganda and access to information; between censorship and the freedom of speech. While many concepts birthed in the height of the dictatorial state have endured to this day, the way in which they are executed have changed dramatically as a response to modern realities. As communication facilitated by globalization and technological improvement proves itself to be irrepressible and inevitable, states have responded in a variety of ways. But in nearly every incidence, censorship accompanies wholly crafting a new information to be accepted in mainstream media and culture. Therefore, censorship and propaganda remain paramount for the success of an illiberal state in crafting its narrative. Veronica Ma is a staff writer at the Harvard International Review.